1. 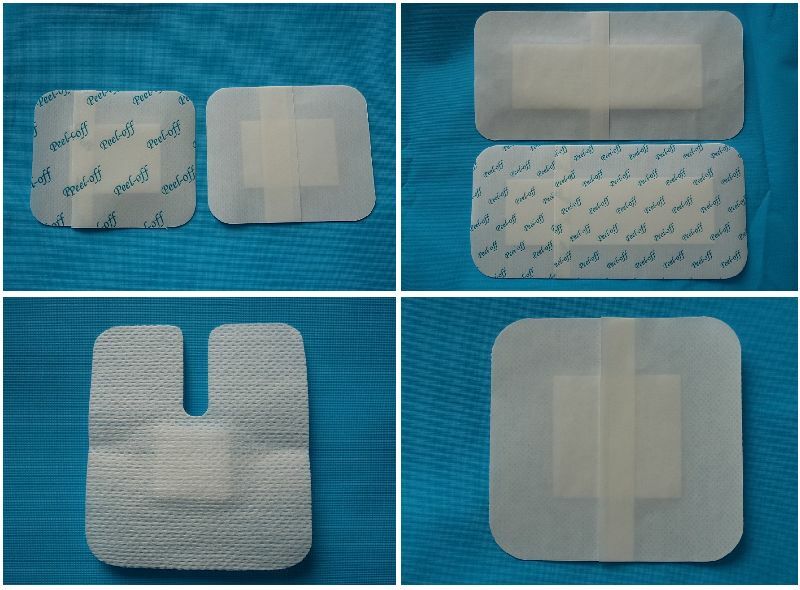 The mesh structure of water thorn non-woven can make skin natural breathing,and eliminating water vapor sweat,thus effectively reducing the wound infection. 2. High quality medical pressure-sensitive adhesive ,proper Viscidity ,not hurt the skin when released from the skin. 3. Soft and thin material, flexible, adapting to the contours of the body curves. Don't interfere with the activities of the body. 4. Unique structure ,round of corner,firm stick,not warp. 2.Postoperative wound,general wound like incised wound and laceration. 2. Complex wound parts,following the guidance of doctor. 1. Prohibit using for Infected wound, ulcers disabled. Later, if the wound infection such as redness, swelling, effusion and fever, etc., shall suspend following medical diagnosis or increase the replacement frequency. 4. When removing the dressing, notice that nether catheters or other devices will not be ripped off.